Wire rods are steel in coil with diameters ranging from 5.5mm to 42mm. • Cold Heading Quality Wire Rod/ Wire (Used for Bolts, Nuts, Screws). •	Bearing Steel Wire Rod . •	Free Cutting Steel (Used for automobile and home appliances). •	Stainless Steel Wire Rod. 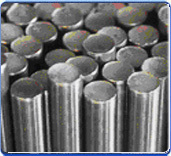 Hot rolled steel bars are made from billet after steel making, forging or billet. Bars are used for various applications. The main usage is for machining and forging. They are used in the automotive, machine parts and petroleum industry. • Carbon Steel - JIS S20C, S45C, S 48C, S50C, ETC. • Alloy Steel - SCM415, SCM 420, SCM440, 16MnCr5, 20MnCr5, ETC. 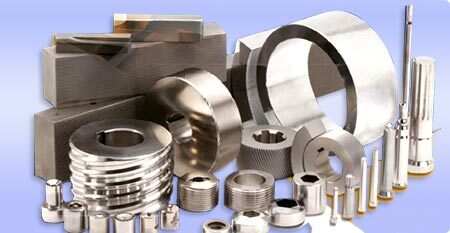 • Bearing Quality Steel - 52100, 100Cr6, SUJ 2. • Free Cutting Steel - 12L14, 1214. 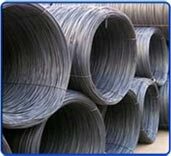 Hot rolled coils are made from steel slabs. They are widely used in producing automobile frames, bridges, construction structures, freeway fences, pipes, etc. We can offer low carbon, high carbon, stainless steel strips as well as strips for steel strapping. Strips are used in the manufacture of automobile parts such as clutch, seat belt, etc. They are also used in the manufacture of clutch & brake plate, transmission plate, pressure plate, converter plate, heat treatment products, etc.